Mike Taulty has worked in software for over 25 years and for more than a decade has been in the developer group at Microsoft in the UK. 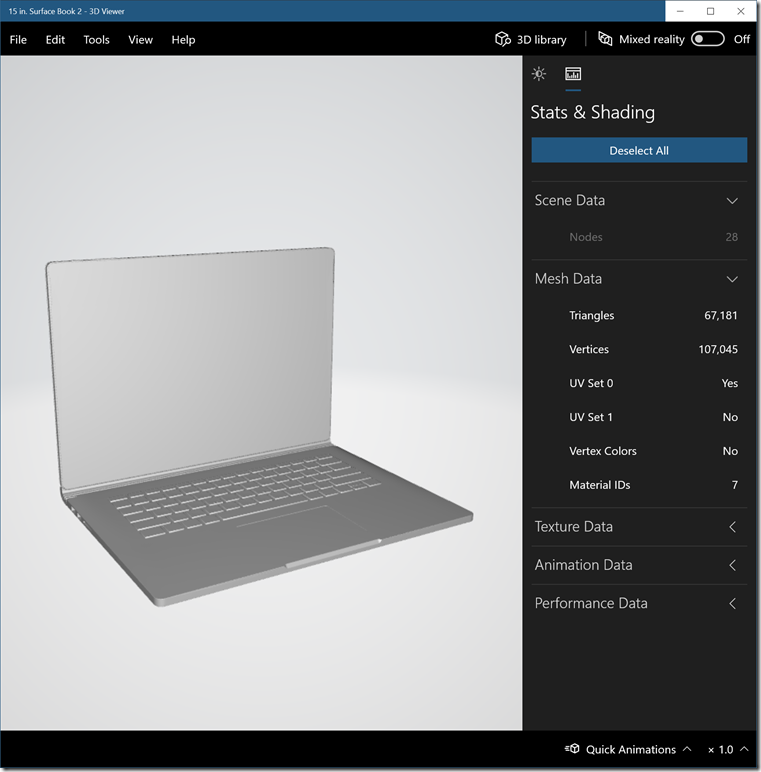 Today, he focuses on Windows Mixed Reality and the Universal Windows Platform. Mike also worked for a number of years for Microsoft Consulting Services, consulting on the Microsoft developer stack with the UK's largest software vendors. Prior to Microsoft, Mike spent a decade working as a software developer, team lead and product lead for a number of enterprises, consultancies and software vendors working with a variety of operating system, client, communication and server technologies. Mike holds a BSc Hons (1st Class) in Computer Science from the University of Leeds. NB: The usual blog disclaimer for this site applies to posts around HoloLens. I am not on the HoloLens team. 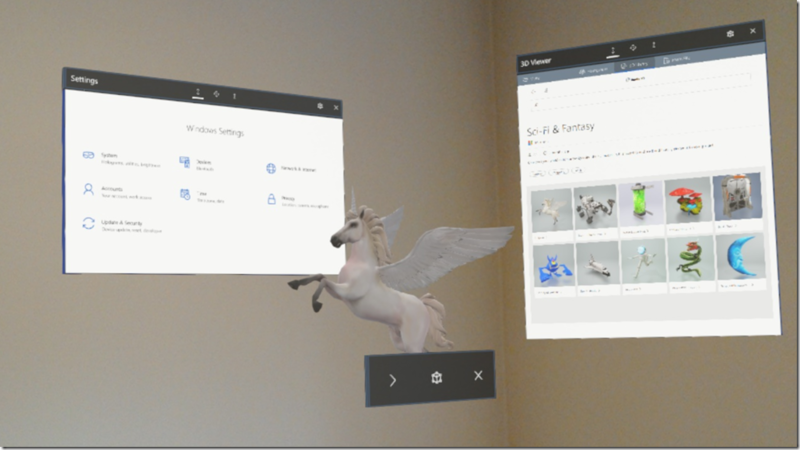 I have no details on HoloLens or Azure Mixed Reality other than what is on the public web and so what I post here is just from my own experience experimenting with pieces that are publicly available and you should always check out the official developer site for the product documentation. 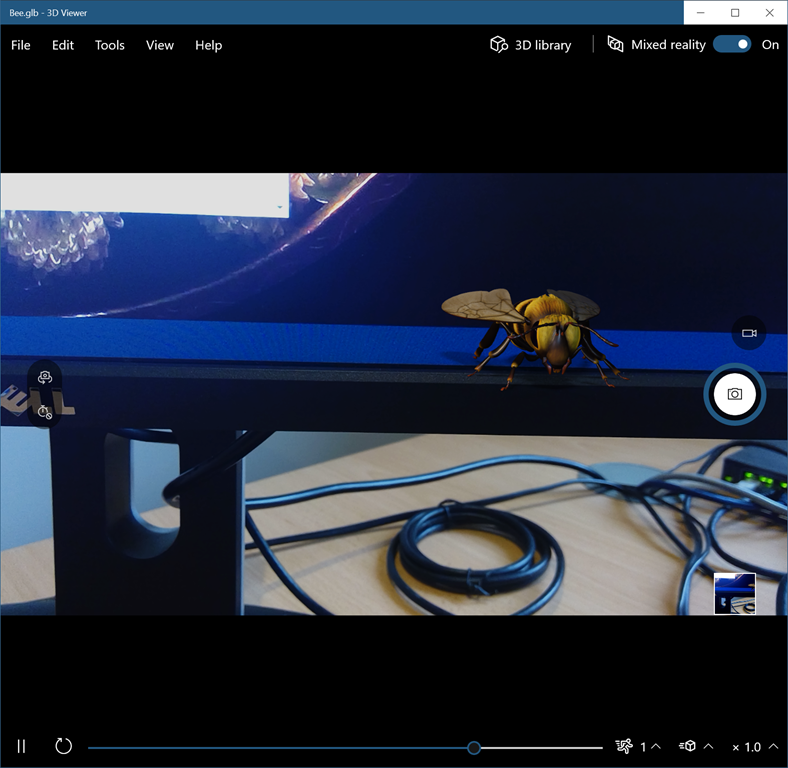 One of the many, many strands of the exciting, recent announcements around Mixed Reality (see the video here) was the announcement of a set of Azure Mixed Reality Services. 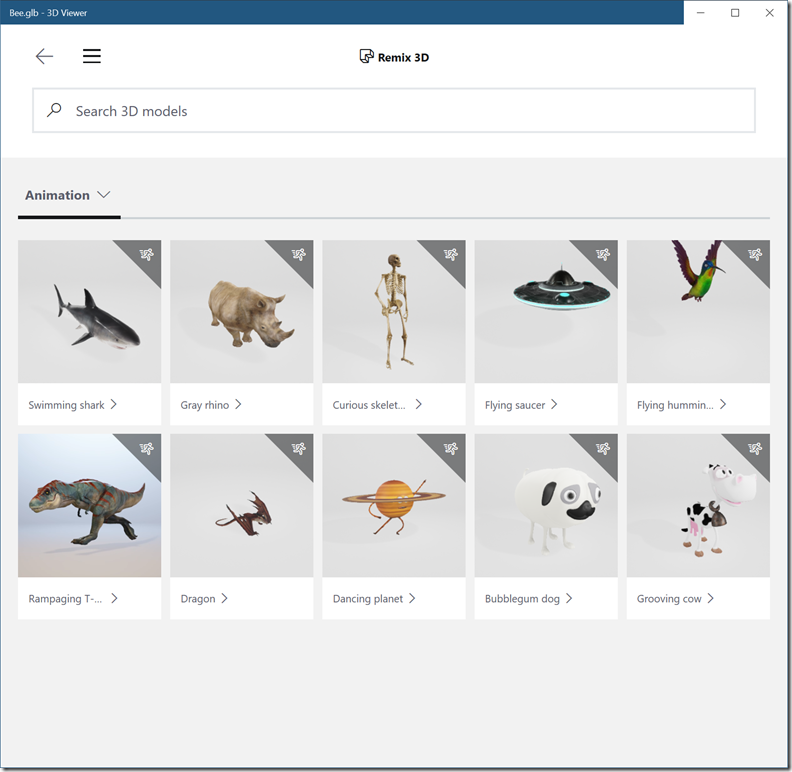 Both of these are, to my mind, vital foundational services that Mixed Reality application builders have needed for quite some time so it’s great to see them surface at Azure. 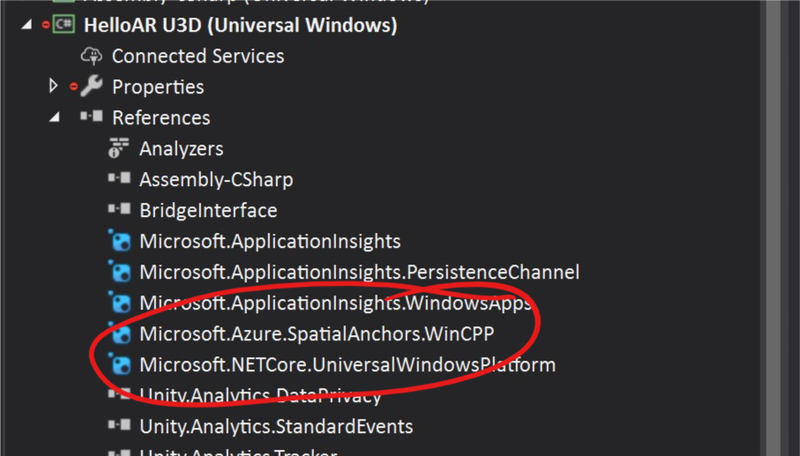 At the time of writing, the Azure Remote Rendering service is in a private preview so I’m not looking at that right now but the Azure Spatial Anchors service is in a public preview and I wanted to experiment with it a little and thought I would write up some notes here as I went along. Check out the overview page here if you’re not familiar with spatial anchors. 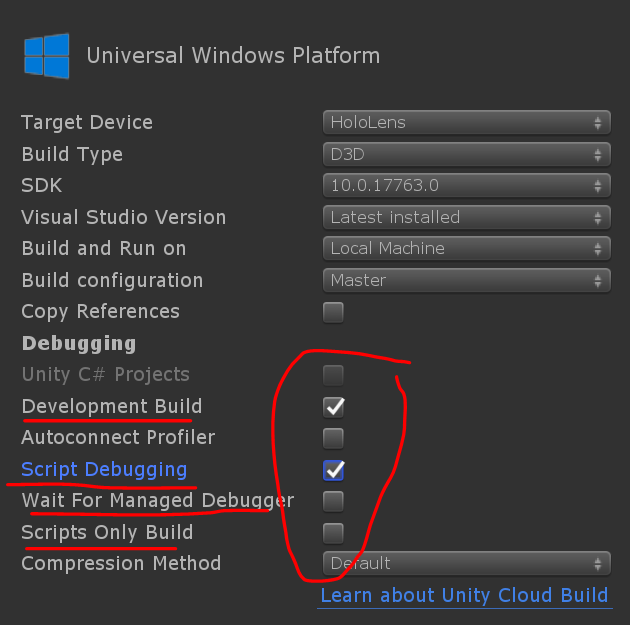 Have a look at the Quick Start here to see how you can quickly get started in creating a service & making use of it from Unity. Check out the samples here so that you can quickly get up and running rather than fumbling through adding library references etc. (note that the Quick Start will lead you to the samples anyway). 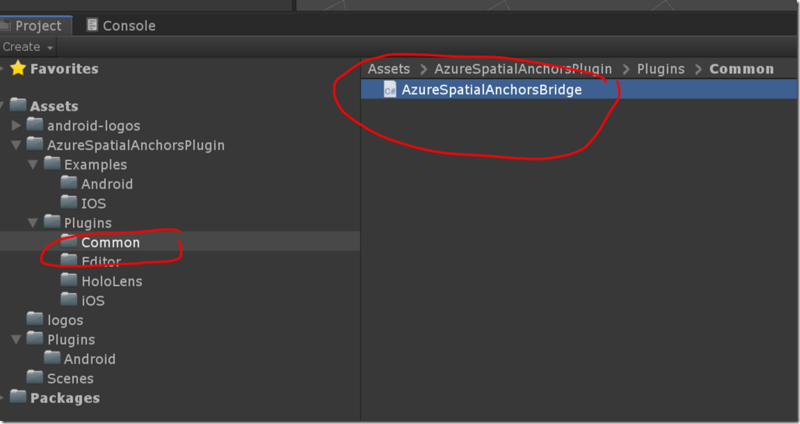 With that said, here’s some rough notes that I made while getting going with the Azure Spatial Anchors service from scratch. Please keep in mind that this service is new to me so I’m really writing up my experiments & I may well make some mistakes. 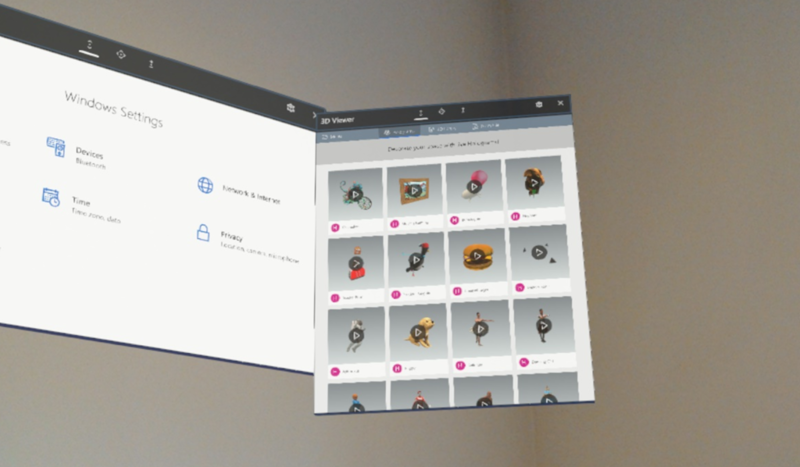 If you’re not coming from a HoloLens background or from some other type of device background where you’re doing MR/AR and creating ‘spatial anchors’ then you might wonder what these things are. A spatial anchor is a BLOB of data providing a durable representation of a 3D point and orientation in a space. That’s how I think of it. You might have other definitions. These BLOBs of data usually involve recognising ‘feature points’ that are captured from various camera frames taken from different poses in a space. So, a ‘spatial anchor’ is a BLOB of data that allows a device to capture a 3D point and orientation in space & potentially to identify that point again in the future (often known as ‘re-localising the anchor’). It’s key to note that devices and spaces aren’t perfect and so it’s always possible that a stored anchor can’t be brought back to life at some future date. I find it useful sometimes to make a human analogy around spatial anchors. I can easily make a ‘spatial anchor’ to give to a human being and it might contain very imprecise notions of positioning in space which can nonetheless yield accurate results. Place this bottle 2cm in on each side from the corner of the red table which is nearest to the window. Lay the bottle down pointing away from the window. You can imagine being able to walk into a room with a red table & a window and position the bottle fairly accurately based on that. You can also imagine that this might work in many rooms with windows and red tables & that humans might even adapt and put the bottle onto a purple table if there wasn’t a red one. Equally, you can imagine finding yourself in a room with no table and saying “sorry, I can’t figure this out”. I think it’s worth saying that having this set of ‘instructions’ does not tell the person how to find the room nor whether they are in the right room, that is outside of the scope and the same is true for spatial anchors – you have to be vaguely in the right place to start with or use some other mechanism (e.g. GPS, beacons, markers, etc) to get to that place before trying to re-localise the anchor. For stability of a hologram or a group of holograms that are positioned near to an anchor. This is essentially about preserving the relationship between a hologram and a real point in the world as the device alters its impression of the structure of the space around it. As humans, we expect a hologram placed on the edge of a table to stay on the edge of that table even if a device is constantly refining its idea of the mesh that makes up that table and the rest of the space around it. One of the magical aspects of mixed reality enabled by spatial anchors is the ability for a device to remember the positions of holograms in a space. The HoloLens can put the hologram back on the edge of the table potentially weeks or months after it was originally placed there. The second magical aspect of mixed reality enabled by spatial anchors is the ability for a device to read a spatial anchor created by another device in a space and thereby construct a transform from the co-ordinate system of the first device to that of the second. This forms the basis for those magical shared holographic experiences. At this point, it’s key to note that for HoloLens developers the notion of ‘spatial anchors’ isn’t new. The platform has supported anchors since day 1 and they work really well. 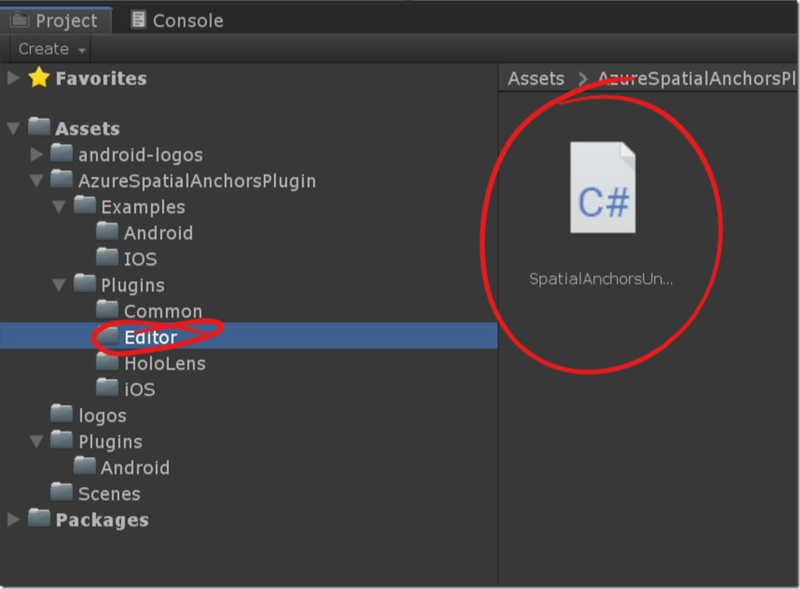 Add the WorldAnchor component to your GameObject in order to apply a spatial anchor to that component. It’s fairly common to use an empty GameObject which then acts as a parent to a number of other game objects. 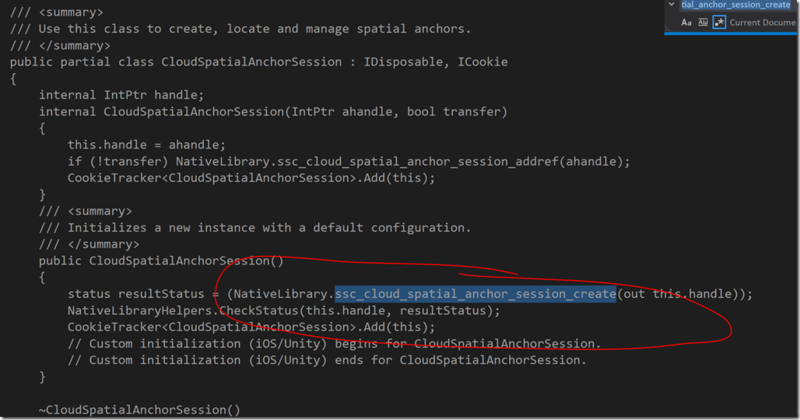 The isLocated property is fairly key here as is the OnTrackingChanged event and note also that there is an opaque form of reference to the underlying BLOB via GetNativeSpatialAnchorPtr and SetNativeSpatialAnchorPtr. Use the WorldAnchorStore class in order to maintain a persistent set of anchors on a device indexed by a simple string identifier. Persist anchors over time such that holograms can be recreated in their original locations. 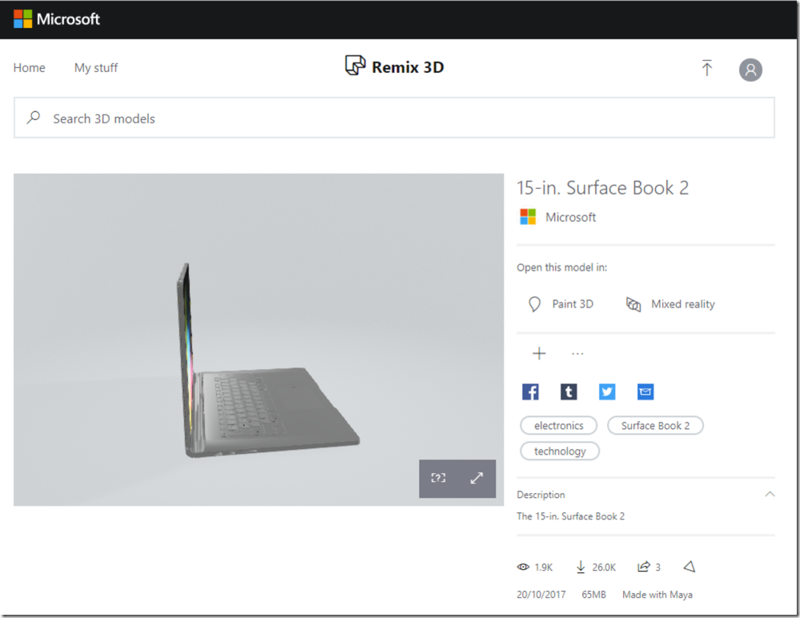 Share anchors between devices such that they can agree on a common co-ordinate system and present shared holographic experiences. and, of course, you can do this using whatever transfer or networking techniques you like including, naturally, passing these anchors through the cloud via means such as Azure Blob Storage or ASP.NET SignalR or whatever you want. It’s all up for grabs and has been for the past 3 years or so. Why A New Spatial Anchor Service? 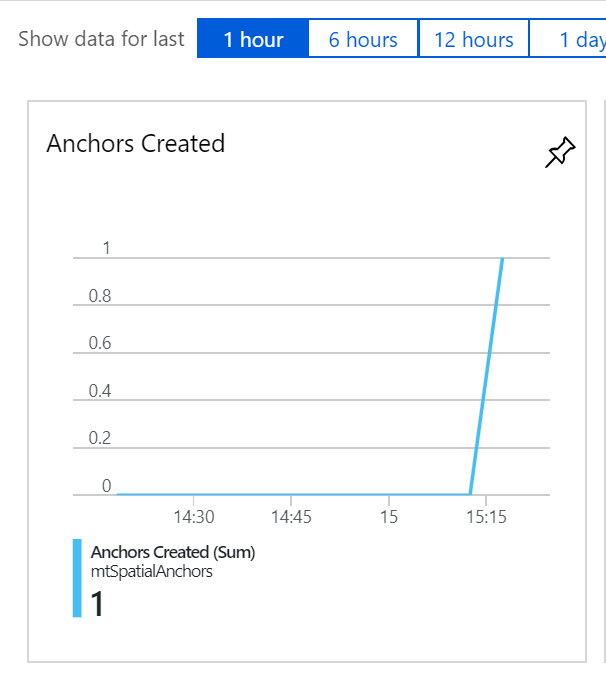 The Azure Spatial Anchor service is already built and you can get an instance with a few clicks of the mouse. You don’t have to go roll your own service and wonder about all the “abilities” of scalability, reliability, availability, authentication, authorisation, logging, monitoring, etc. There’s already a set of client-side libraries to make this easy to use in your environment. 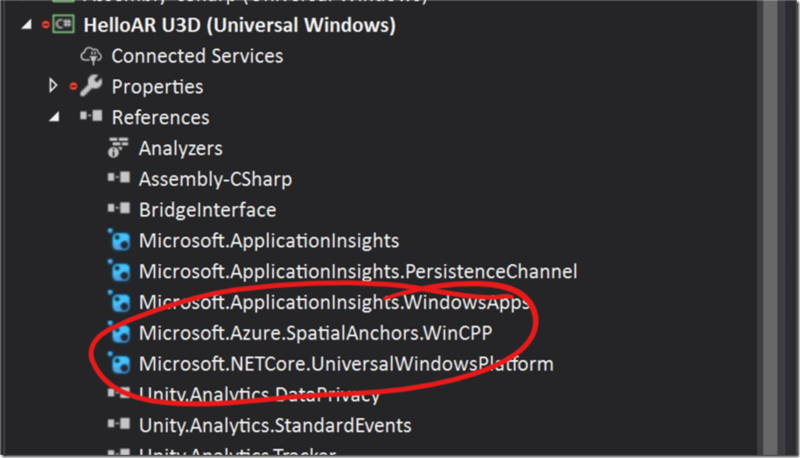 The Azure Spatial Anchor service/SDK gives you x-platform capabilities for anchors. The Azure Spatial Anchor service gives you the ability to transfer spatial anchors between applications running on HoloLens, ARKit devices and ARCore devices. The Azure Spatial Anchor service lets you define metadata with your anchors. The SDK supports the notion of ‘nearby’ anchors – the SDK lets you capture a group of anchors that are located physically near to each other & then query in the future to find those anchors again. The SDK also supports adding property sets to anchors to use for your own purposes. Point #2 above is perhaps the most technically exciting feature here – i.e. I’ve never before seen anchors shared across HoloLens, iOS and Android devices so this opens up new x-device scenarios for developers. That said, point #1 shouldn’t be underestimated – having a service that’s already ready to run is usually a lot better than trying to roll your own. The service is in preview. 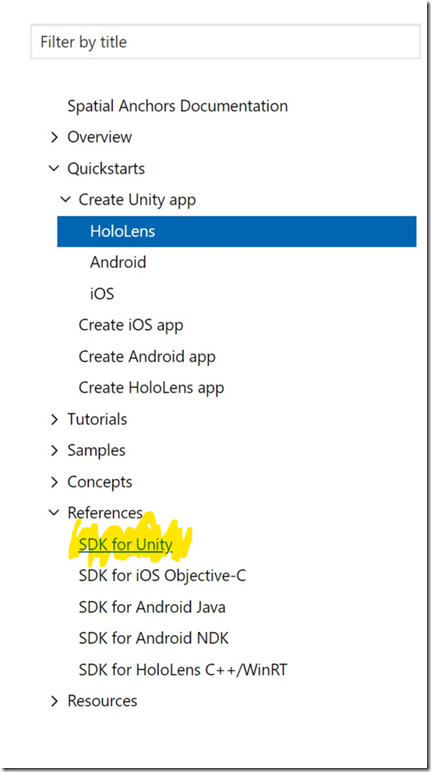 I’m going to take a HoloLens/Unity centric approach as that’s the device that I have to hand. There are going to be places where I’ll overlap with the Quick Start and I’ll just refer to it at that point. Getting to the point where you have a service up and running using (e.g.) the Azure Portal is pretty easy. I just followed this Quick Start step labelled “Create a Spatial Anchors Resource” and I had my service visible inside the portal inside of 2-3 minutes. 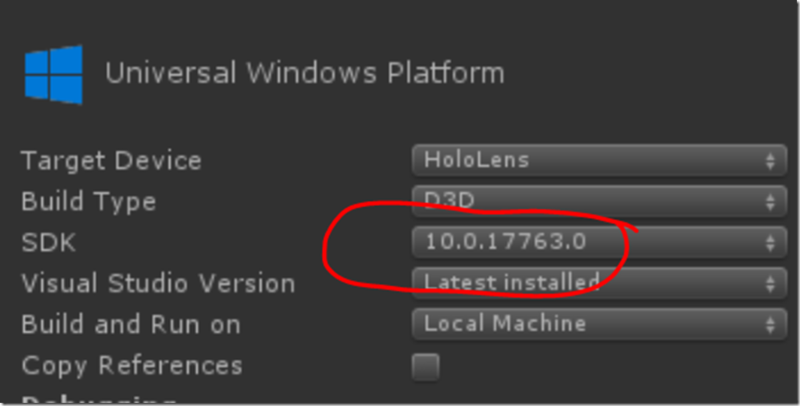 Once I had a service up and running, I wanted to be able to get to it from Unity and so I went and made a blank project suitable for holographic development. 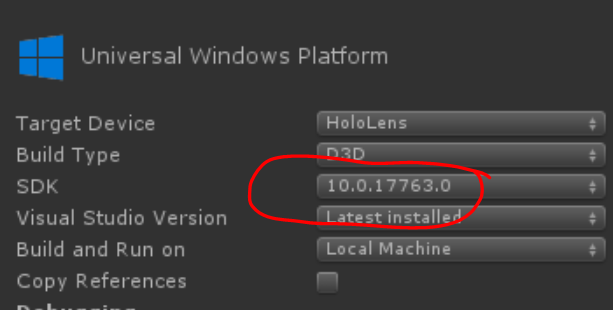 I’m using Unity 2018.3.2f1 at the time of writing (there are newer 2018.3 versions). 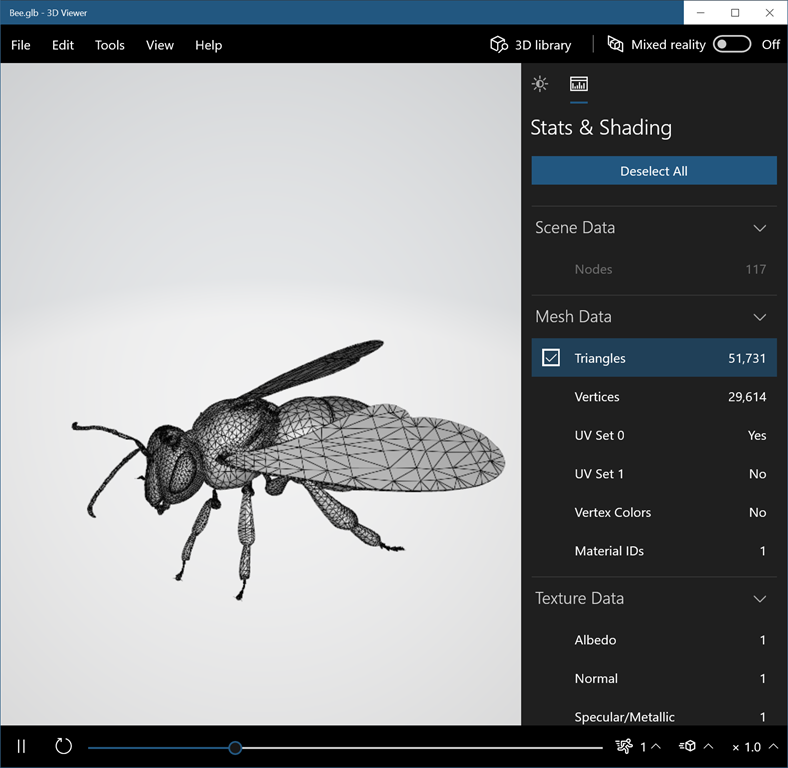 I’ve gone through the basics of setting up a project for HoloLens development many times on this blog site before so I won’t cover them here but if you’re new to this then there’s a great reference over here that will walk you through getting the camera, build settings, project settings etc. 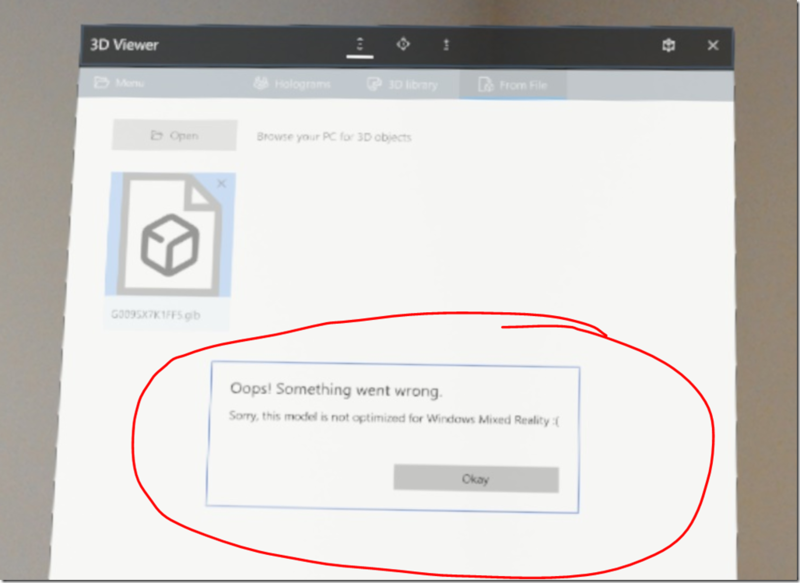 all ok for HoloLens development. 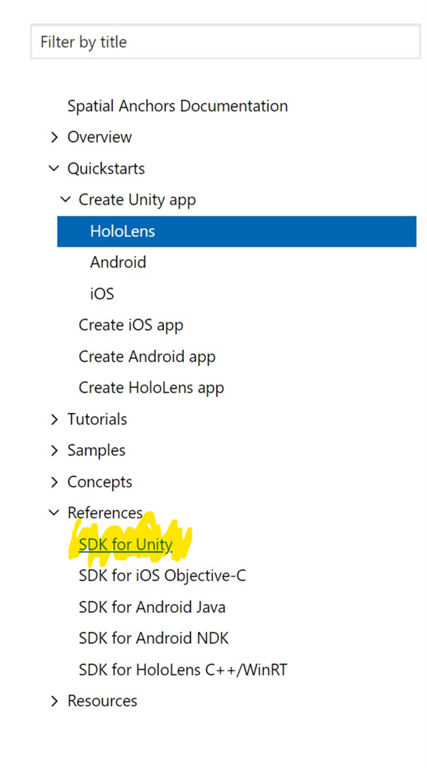 then the link to the SDK takes me to the detailed doc pages but it doesn’t seem to tell me where I get the actual SDK from – I was thinking of maybe getting a Unity package or similar but I’ve not found that link yet. 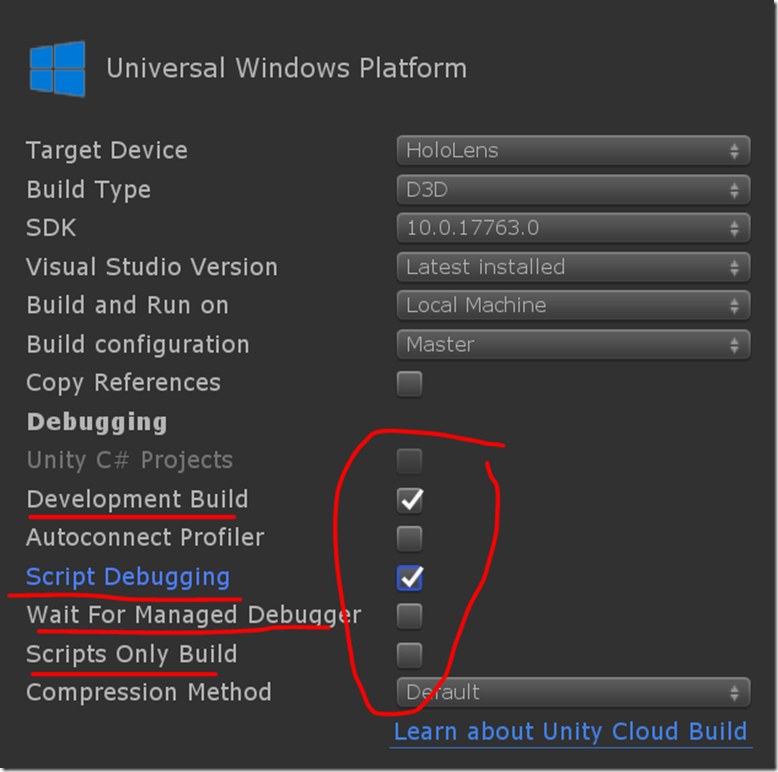 For the il2cpp scripting backend, see this [issue]( https://forum.unity.com/threads/httpclient.460748/ ). 1. First make a mcs.rsp with the single line `-r:System.Net.Http.dll`. Place this file in the root of your assets folder. 2. Copy the `System.net.http.dll` from `<unityInstallDir>\Editor\Data\MonoBleedingEdge\lib\mono\4.5\System.net.http.dll` into your assets folder. 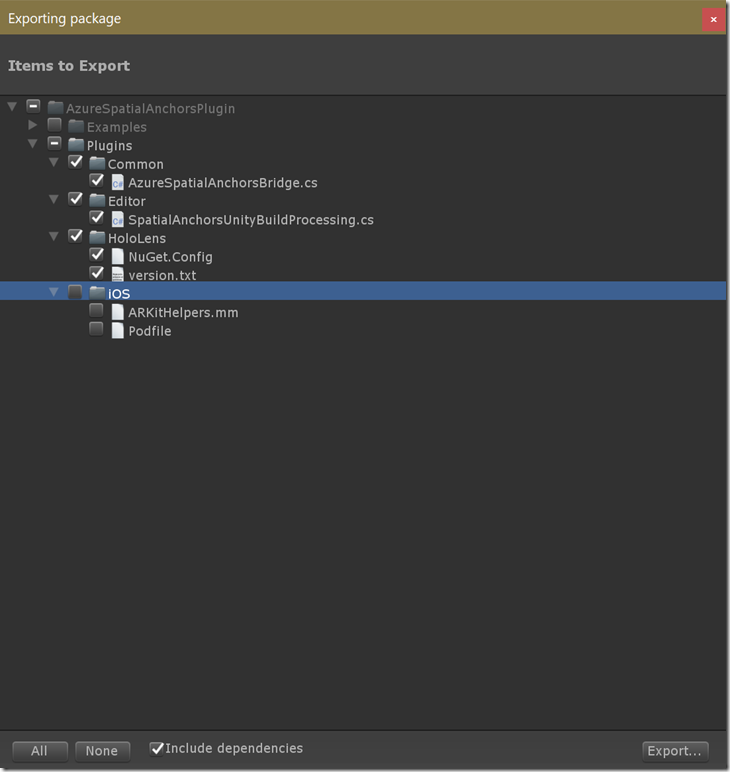 There is an additional issue on the il2cpp scripting backend case that renders the library unusable in this release. so please keep that in mind given that IL2CPP is the new default backend for these applications. I haven’t poked into the iOS/Android build steps at the time of writing so can’t quite say what happens there just yet. so, what’s in that thing? 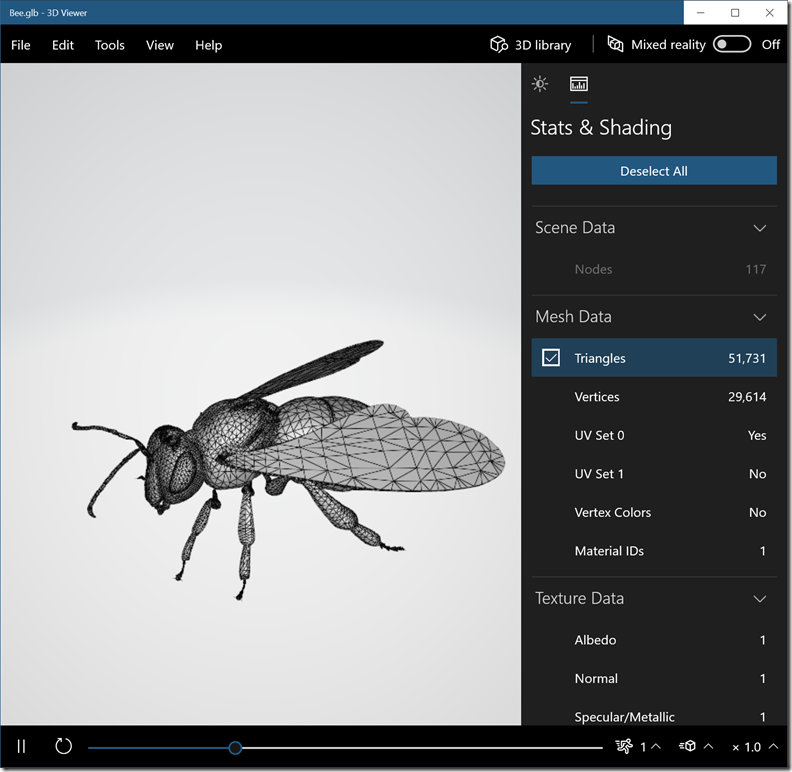 Is it a WinRT component? I can only guess but I suspect then that the SDK is built in C/C++ so as to be portable across iOS, Android & UWP/Unity and then packaged up in slightly different ways to hit those different target environments. so that’s how that seems to work. hoping to come away with the minimal set of pieces that I need to make this work for HoloLens and that seemed to work when I imported this package into my new, blank project. I made sure that project had both the InternetClient and Microphone capabilities and importantly SpatialPerception, with that in place, I’m now in my blank project and ready to write some code. // TODO: Create a cloud anchor session here. and so this gives me the ability to say “session” to create a session, “cube” to create a cube with a world anchor and “clear” to get rid of all my cubes. Into that, it’s fairly easy to add an instance of CloudSpatialAnchorSession and create it but note that I’m using the easy path at the moment of configuring it with the ID and Key for my service. In the real world, I’d want to configure it to do auth properly and the service is integrated with AAD auth to make that easier for me if I want to go that way. and that’s that. Clearly, I’m using speech here to avoid having to make “UI”. Ok, I’ve already got a local WorldAnchor on any and all cubes that get created here so how do I turn these into cloud anchors? If it’s not ready then you need to get your user to walk around a bit until it is ready with some nice UX and so on and you can even query the UserFeedback to see what you might suggest to the user to get them to improve on the situation. It looks like you can also get notified of changes to these values by handling the SessionUpdated event as well. and that seemed to work reasonably although, naturally, the hard-coded 250ms delay might not be the smartest thing to do. Ok – anchor creation is working! Let’s move on and see if I can get an anchor re-localised. 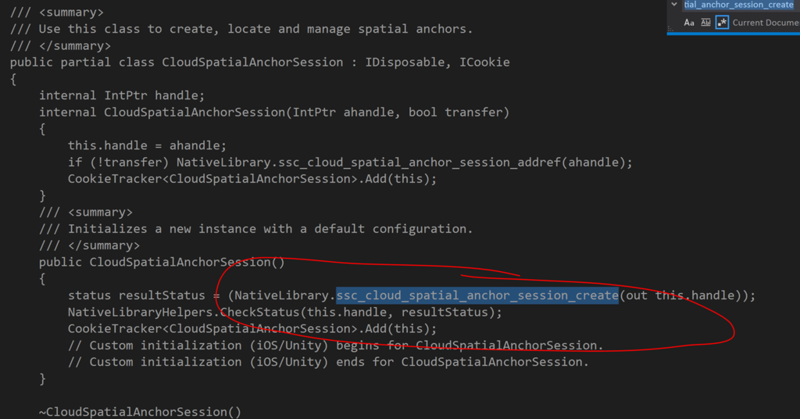 I can give the watcher one or more identifiers for anchors that I have previously uploaded (note that the SDK fills in the cloud anchor ID (string (guid)) in the Identifier property of the CloudSpatialAnchor after it has been saved to the cloud). I can ask the watcher to look for anchors that are nearby another anchor. I guess the former scenario works when my app has some notion of a location based on something like a WiFI network name, a marker, a GPS co-ordinate or perhaps just some setting that the user has chosen and this can then be used to find a bunch of named anchors that are supposed to be associated with that place. Once one or more of those anchors has been found, the nearby mode can perhaps be used to find other anchors near to that site. The way in which anchors become ‘nearby’ is documented in the “Connecting Anchors” help topic here. It also looks like I have a choice when loading anchors as to whether I want to include the local cache on the device and whether I want to load anchors themselves or purely their metadata so that I can (presumably) do some more filtering before deciding to load. That’s reflected in the properties BypassCache and RequestedCategories respectively. In trying to keep my test code here as short as possible, I figured that I would simply store in memory any anchor Ids that have been sent off to the cloud and then I’d add another command “Reload” which attempted to go back to the cloud, get those anchors and recreate the cubes in the locations where they were previously stored. and that’s pretty much it – I found that my anchors reload in much the way that I’d expect them to. As I said at the start of the post, this was just me trying out a few rough ideas and I’ve covered nothing that isn’t already present in the official samples but I found that I learned a few things along the way and I feel like I’m now a little more conversant with this service. Naturally, I need to revisit and go through the process of updating/deleting anchors and also of looking at gathering ‘nearby’ anchors and re-localising them but I think that I “get it” more than I did at the start of the post.